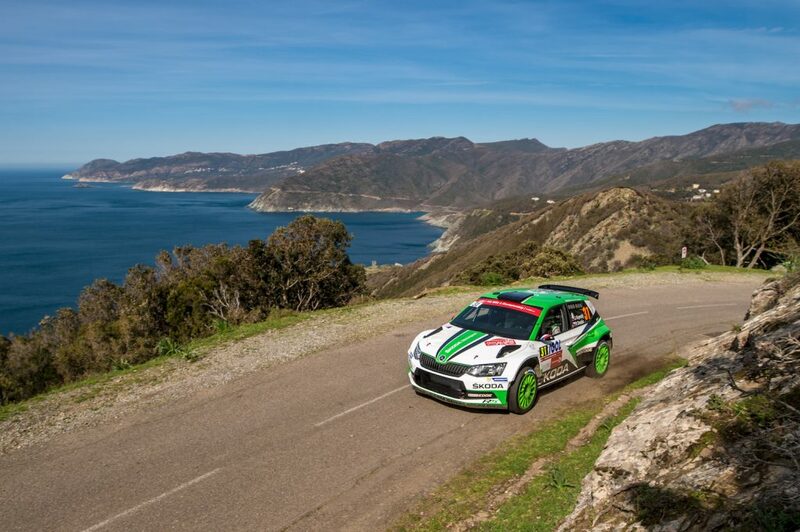 The 2019 season of the World Rally Championship is officially on! 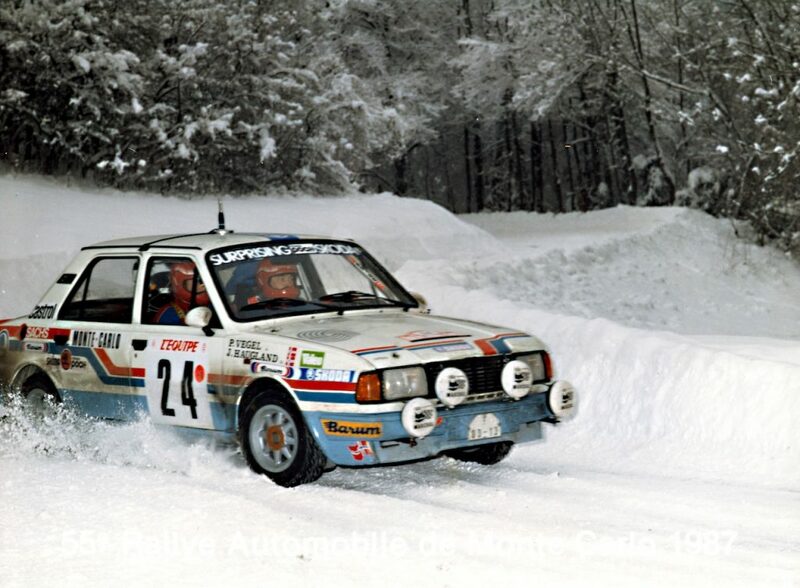 As always, the year starts with that legend among rallies, the famous Rallye Monte Carlo. The action begins around the town of Gap in the high mountains to the north of Monaco, and the route takes the crews through the Alpes Maritimes region above the principality and finally down to Monaco itself. 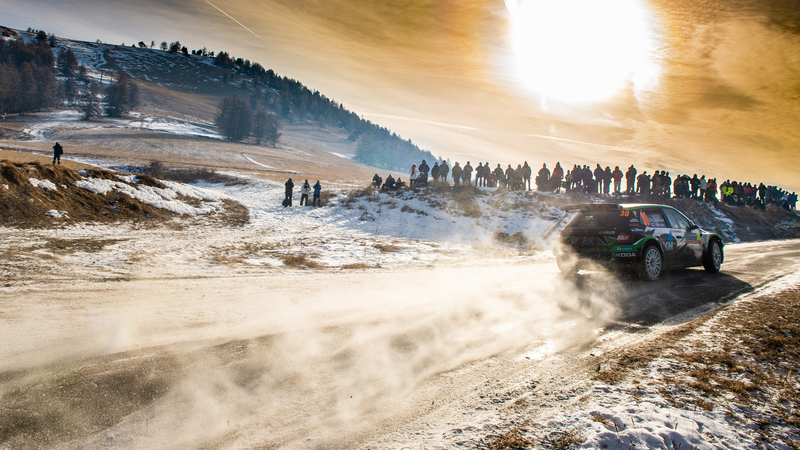 The unpredictable conditions – snow, ice and dry tarmac can appear all on the same stage – make for an exciting rally. As in every year, the Monte Carlo is also the place where new drivers, co-drivers and car line-ups appear. 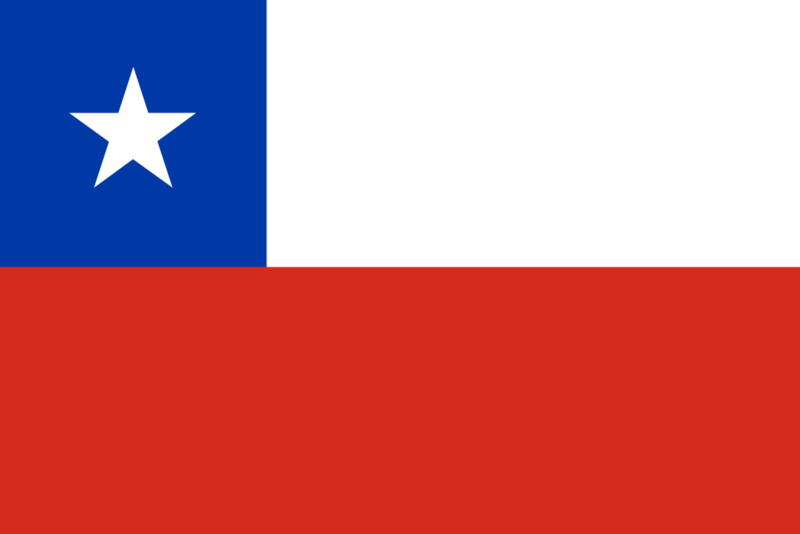 Read more about the famous rally in our overview article! 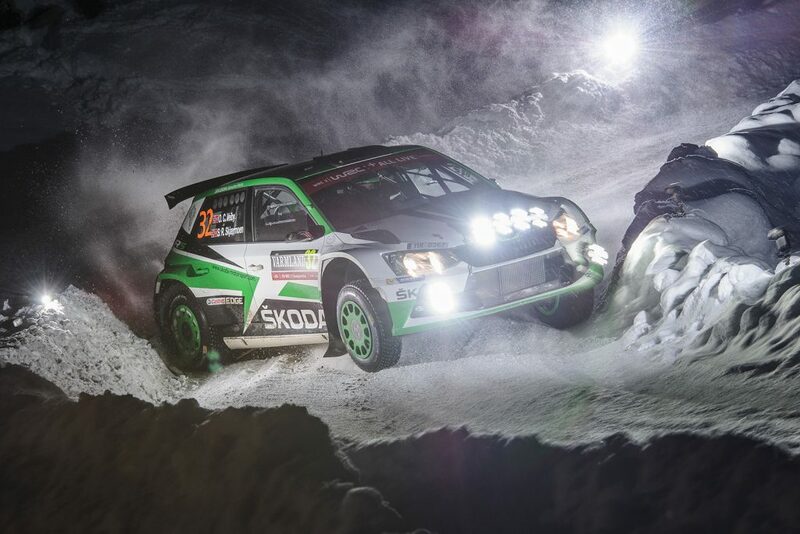 This year, Kalle Rovanperä with his co-driver Jonne Halttunen come to represent ŠKODA Motorsport in WRC 2 Pro category, competing against Ford and Citroën works crews, while other 13 FABIA R5s will be competing in the WRC 2 category. Their biggest competitors will be the new Volkswagen Polo GTI R5 cars. The shakedown on the roads around Gap gave us the first taste of what we can look forward to this week. Kalle Rovanperä took two runs and, after taking it easy in the first one, he used the second to post a time of 2:04.9 – a comfortable 0.6 seconds ahead of Gus Greensmith of Ford and almost 3 seconds ahead of former teammate, Ole Christian Veiby, in a Volkswagen. The fastest customer crews were Olivier Burri/Andersson Levratti in 6th place and Rhys Yates/Denis Giraudet in the 7th. 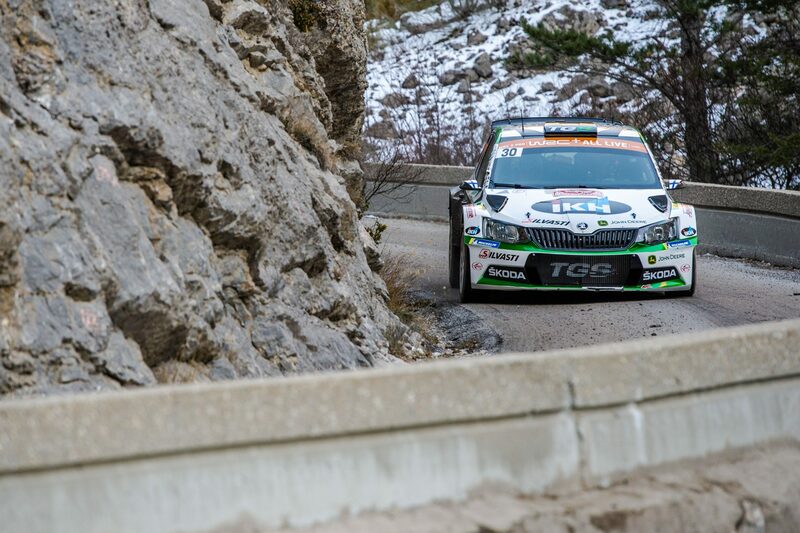 After a promising start in the shakedown, the first stage of Rallye Monte Carlo brought some bad luck for Kalle Rovanperä and his co-driver Jonne Halttunen. A corner with a treacherous combination of snow and ice caught Kalle off guard and he ended up in a ditch, hitting the car of WRC driver Teemu Suninen – an earlier victim of the same corner. Luckily, Kalle and Jonne were able to use their ingenuity and perform some emergency repairs. 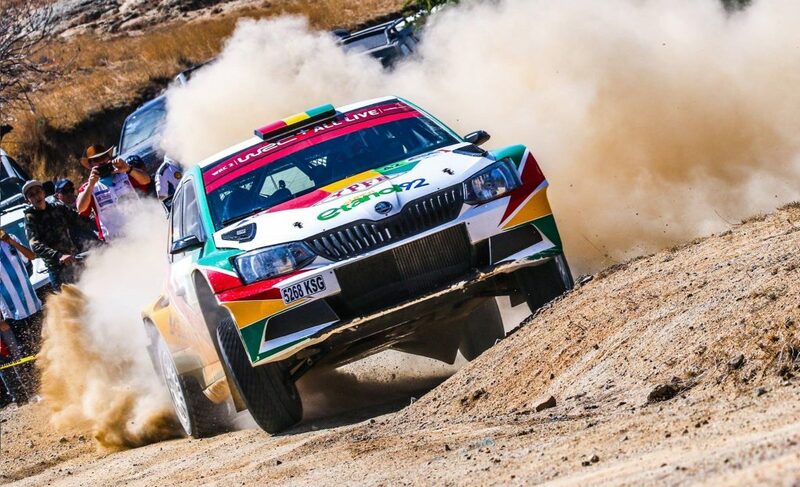 Although they broke two wheels and damaged the front of the car, smashing the headlights, they were able to continue and complete both of the evening stages. With a damaged car and having only been able to salvage one headlight, they had to take it slow and easy. 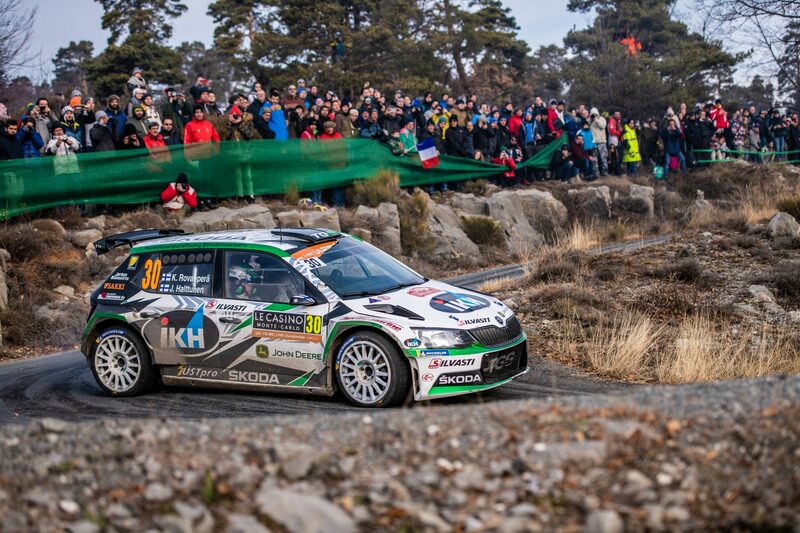 They finished more than 12 minutes behind the leading driver Yoann Bonato on Citroën C3 R5, beating only one car. This doesn’t mean much, however, as we know that Kalle is a prime example of what Finns call “sisu”, the ability to fight and prevail against all odds. Monte Carlo is a long, difficult and unpredictable rally and literally anything can happen between now and Sunday afternoon. Only one thing is certain – this is going to be an exciting rally! 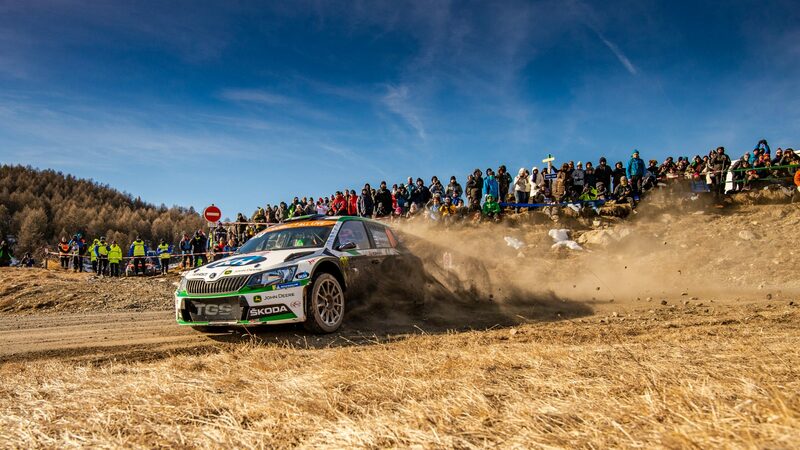 Friday morning’s action started late after the first stage of the day, SS3, was delayed because of spectators in some dangerous areas around the track. Starting SS4, Kalle Rovanperä began the long ttask of clawing his way back up the field. He set the second fastest time for an R5 car. One stage later, he used a combination of cross-mounted slick and studded tyres – and became the quickest driver in the field of the R5 cars. “I got a good rhythm, the car feels okay and I’m improving”, commented young Finn on his perfromance. In the afternoon stages, Kalle Rovanperä continued his great performance of the morning. Even though the roads were getting drier, he kept his cross-fitted tyres – slicks and studded tyres on the opposite corners of the car – and he grew in confidence over the course of the afternoon. Even though he started the day next-to-last, he managed to clamber up the ranks throughout the day, finishing Friday’s leg in 16th position, or roughly halfway up the overall standings, after setting two best times among the R5 cars and finishing 3rd in the SS7. “Today’s been going quite well. We started carefully because of yesterday, I think everything has been improving today – the notes from the ice crew have been getting better“, he remarked about his successful day. Kalle Rovanperä just can’t seem to shake his bad luck at Monte Carlo. In the longest stage of the rally, 29.82 kilometre long one from Agnieres en Devoluy to Corps, he suffered a puncture and had to change a tyre. This meant he dropped 2 places, back to 18th position, halting his journey back to the top. In the second stage of the day, SS10, Kalle had a clean run and set the same time as R5 category leader Gus Greensmith, which was enough to move back up to 16th position. 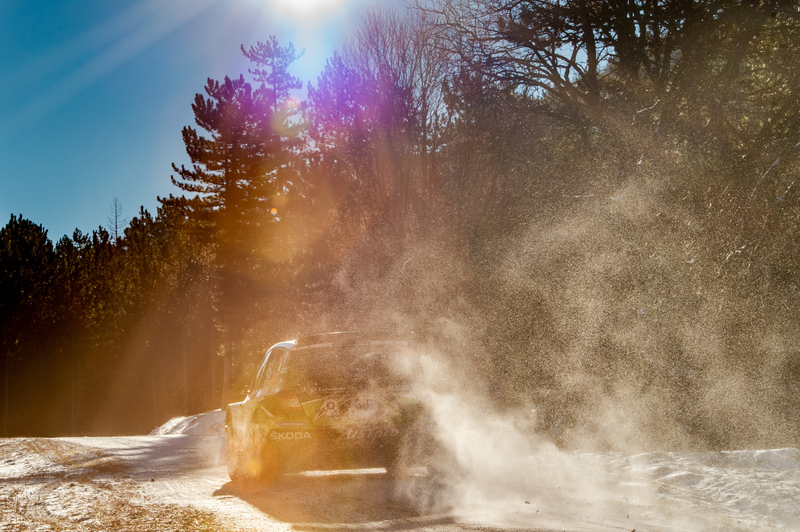 After the last service stop in Gap, the crews will repeat the morning’s two stages and then head to Monte Carlo. Kalle’s got six stages left to fight for a better position. 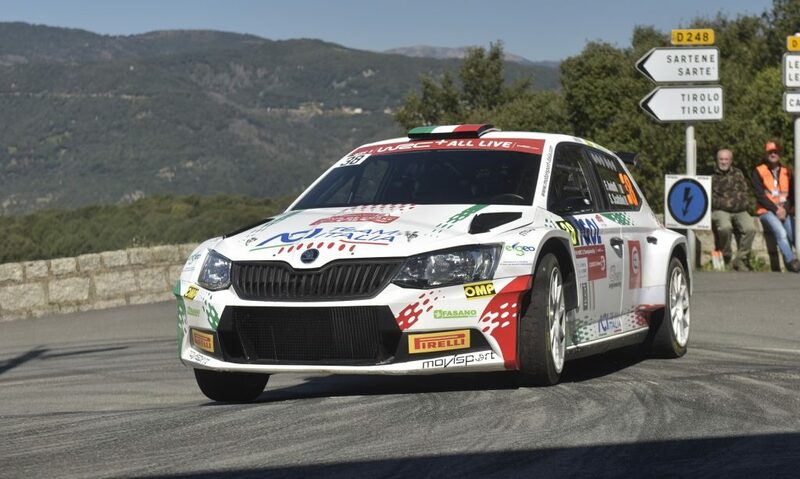 In the afternoon’s first stage, Kalle once again proved his speed, posting the quickest time among the R5 cars and eighth fastest in the overall standings. He didn’t pick the ideal set of tyres for the last stage of the day, but even so, he managed to set the third quickest time before heading to the service park in Gap and then on to Monte Carlo. With one day and four stages left, Kalle is now 13th in the RC2 standings. On the final day of the rally, Kalle Rovanperä had four stages to further improve his standing. He performed a flawless run, posting the third best time among RC2 cars three times in a row, which was enough to move him up another two places, finishing the rally as 11th fastest among the R5 cars. 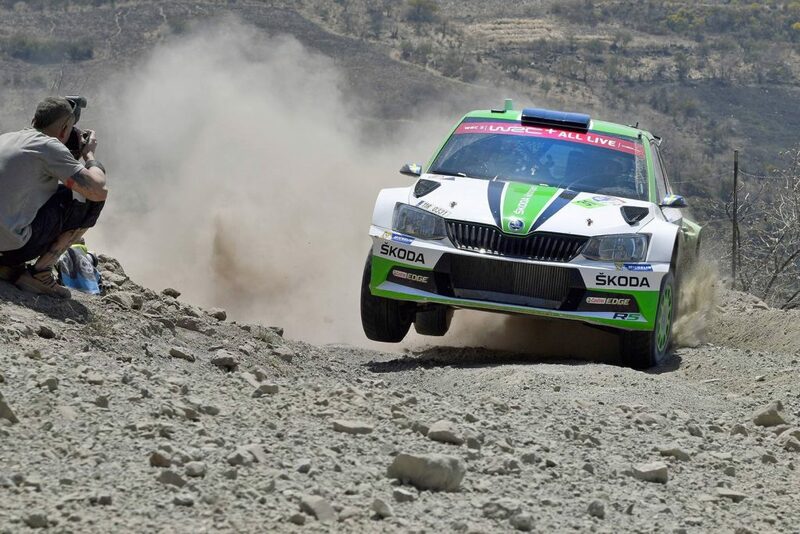 Even though his final result was adversely affected by his mishap at the beginning of the rally, Kalle has once again shown his sheer speed and talent. Here are some numbers that show just how fast he really was. Out of 16 special stages, he managed to be fastest of the R5 cars in four, second-fastest in two and third-fastest in another five. 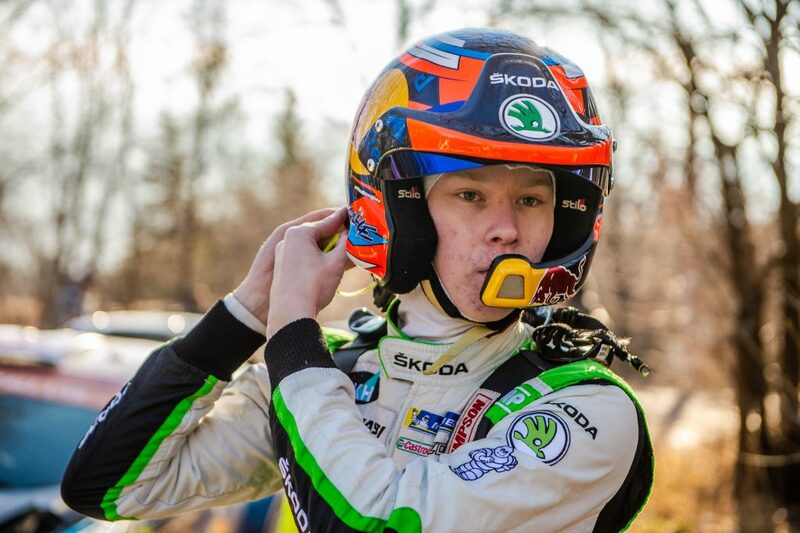 Maybe even more impressive is the fact that after falling down to 84th position after his mishap in SS1, Kalle moved to 18th place in the rally’s overall standing – up 66 positions. 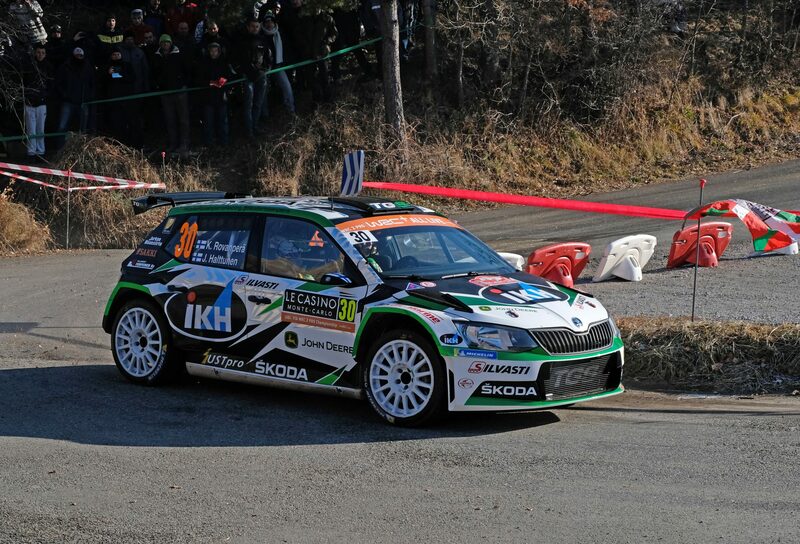 The final result also means that Kalle secured second place in the WRC 2 Pro category and thus earned important points. This could prove decisive later in the season. These results only include R5 cars included in either WRC 2 or WRC 2 Pro standings.